We do not fully understand the thermodynamic controls on calcite solution in the ocean. For example, the pressure dependence of calcite solubility has never been successfully reproduced in the field. I am building a saturometer, which will test the reactivity and solubility of biogenic calcites and aragonites in the lab and the field across a range of heretofore underexplored thermodynamic variables. This device is being redesigned with a solid-state pH sensor, which exhibits minimal drift and requires less calibration than traditional glass pH electrodes. This research is the focus of an NSF Chemical Oceanography proposal with co-P.I. Matt Long that was submitted in February. A coretop study of coccolith versus foraminiferal radiocarbon ages will elucidate the extent of their dissolution in marine sediments. Foraminifera dissolve more quickly than coccoliths in the ocean. This preferential dissolution will result in a shorter foraminiferal residence time in deep sea sediments, and will lead to a younger radiocarbon age in foraminifera compared to coccoliths in core tops. It also implies that coccoliths are more important for longer-term calcite burial. We have developed a new method to measure the dissolution kinetics of calcite in seawater. 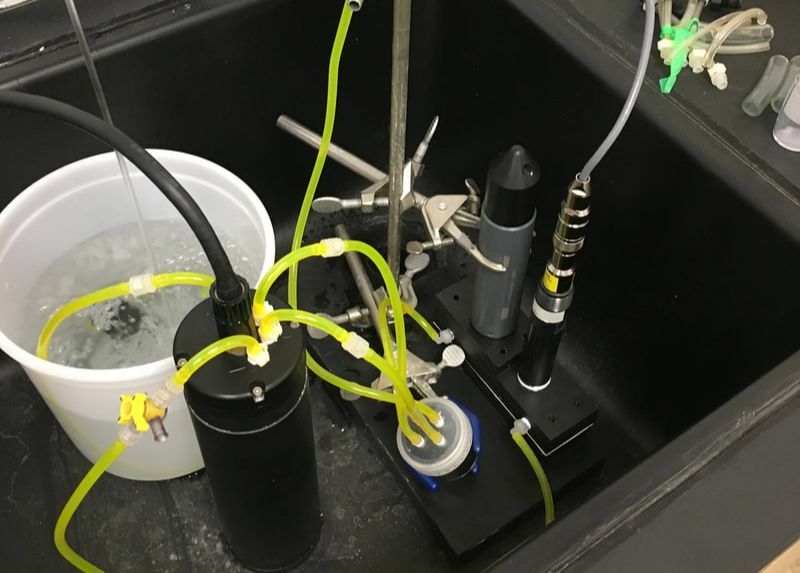 Instead of tracking a bulk chemistry change, we dissolve Carbon-13 labeled calcium carbonate in natural seawater, and mass transfer between solid and solution is traced by measuring the increase in the 13/12 carbon ratio of seawater over time. 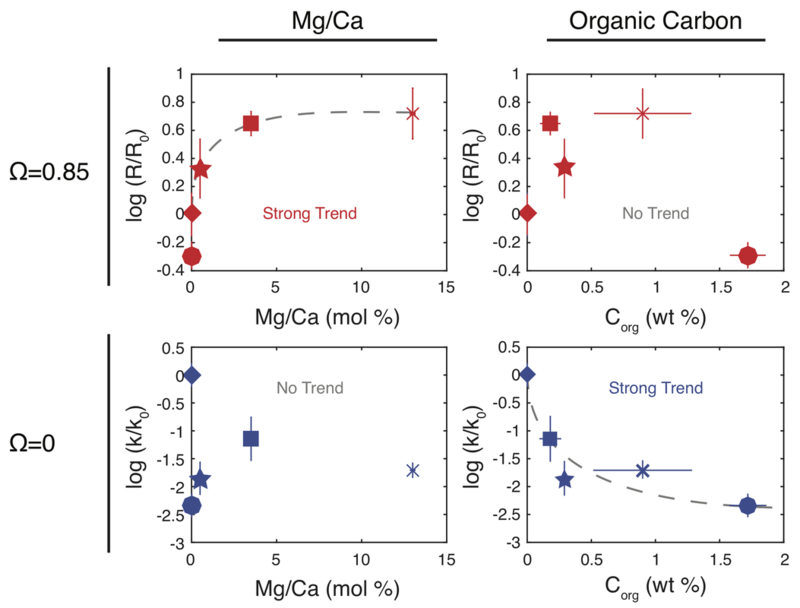 This work has revealed mechanistic insights into the nature of calcite dissolution in seawater, and the controls on how biogenic calcites dissolve relative to inorganic calcite.